Best realtors in Fairfax County and proud Viper sponsor since 2000. James is proudly hoisting the Viper Spring Championship trophy! 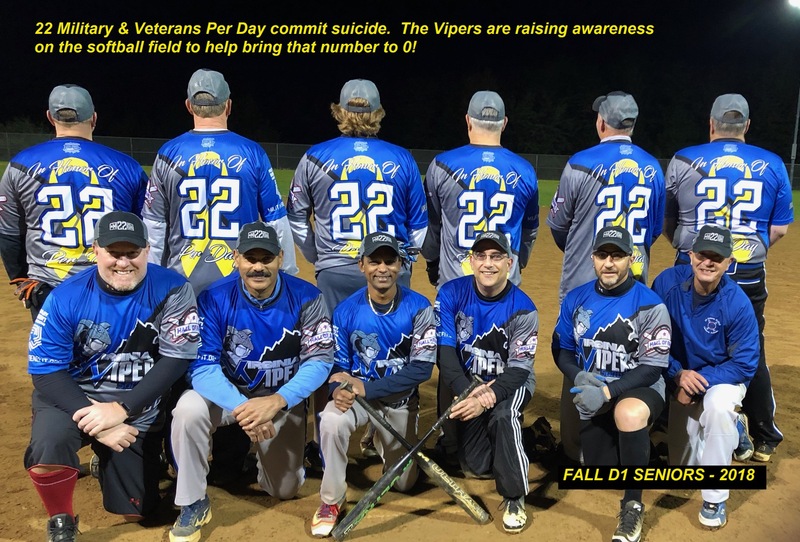 The Virginia Vipers Softball Club for Veterans recently had their board of directors meeting on 10 February 2015 to get prepared for the 2015 season. As always, we are excited about participating in Fairfax Adult Softball – the largest adult competitive softball league in the country! Players from all of the Viper’s teams at the FAS Hall of Fame ceremony! — at Sharon Sealock Softball Complex. THANK YOU FOR YOUR DONATIONS. YOUR GENEROSITY MAKES IT POSSIBLE FOR OUR MILITARY/VETERAN 501C3 TO PLAY IN THE LARGEST ADULT RECREATIONAL SOFTBALL LEAGUE IN THE COUNTRY. TO DATE, THE VIPERS HAVE PROUDLY SERVED OVER 190 MILITARY AND VETERAN FAMILIES. WE APPRECIATE YOU SUPPORTING A TRULY LOCAL MILITARY/VETERAN CHARITY IN FAIRFAX COUNTY. THE VIPERS LOOK FORWARD TO REPRESENTING YOUR ORGANIZATION ON THE DIAMOND. THANK YOU!